If you have the right amount of money to spare, you can now unlock your iPhone remotely without the need for installing any custom software on it and without the risk of voiding your warranty. A couple of companies out there are known for offering their unlocking services and promise to permanently free your iPhone from the grip of any GSM carrier worldwide. GSM Phone Source and Cut Your Sim can unlock any iPhone 4, 3GS, or 3G for a hefty fee of $179 and $169 respectively. CDMA devices are not supported yet and nobody mentions if they will ever be. The whole process is performed remotely and it should not take more than a few days after the payment is received. All the information that the companies require is your iPhone's unique IMEI number and nothing more. 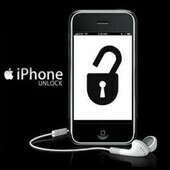 Now some of you may think this whole unlocking thing may not be OK with Apple, and you will most probably be correct. The remote unlocking process is said to work by somehow adding the provided IMEI number to Apple's whitelist – a procedure which might involve hacking into Apple's database without its awareness. Nevertheless, the unlocking services have been reported to work flawlessly, but it is not sure if Apple is not already planning to take action against them. Many people resort to jailbreaking their iPhones in order to eventually unlock them for use with a carrier of their choice. Even though it does not cost a dime, the whole process involves a slim chance of bricking the device since it basically tinkers with Apple's stock software. If having an unlocked iPhone is that important to you and money is not an issue, maybe you might want to check these remote unlocking services out before Apple finds out and steps in. The high cost indicates a fairly high level of either difficulty of process or risk involved. Since I doubt a company which provides a single service that can be mimicked by the average computer savvy jailbreaker, I doubt that difficulty is the reason. That leaves risk. The price says to me that the companies are trying to make their money before apple shuts them down, which they most likely see as an inevitability. I agree with this assumption. Lol, and with a stock Android phone you can pretty much do what you could with a jailbroken iPhone. Everything except Netflix. As an android user that makes me sad, but that is neither here nor there. Deago78, I wholeheartedly agree. Caveat Emptor, let the buyer beware. Scam, Scam, Scam Optus carrier unlocks for free in Australia when you have a valid reason - eg, I had mine unlocked as I was wanting to use the phone overseas in Canada using another carrier.